Westchester lagoon is located southwest of Downtown Anchorage along the Tony Knowles Coastal Trail. Living in this neighborhood means walking out your front door into one of the best activity parks in Anchorage. This park features a manmade lagoon and waterfowl sanctuary with trails for running, biking, skiing as well as nature trails. In the summer months the kayakers and canoers are seen on the water and in winter months the lake is transformed into a skating rink where many locals host hockey games on the ice. There is also a jungle gym style play area for children as well as a Frisbee golf course. If you are looking for a home for sale in Westchester Lagoon we have all homes for sale in this area featured on MLS from ALL the Real Estate Companies. 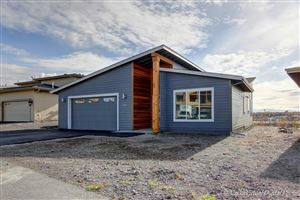 If you are looking for a New Construction Home in the Westchester Lagoon area call/text 9074404661 for availability of lots and pricing information.